TAIPEI: United Airlines has chosen ICL MSL as its retained PR agency in Taiwan with a focus on brand awareness for the airline's Taipei-to-San Francisco direct flight launching on March 31. TAIPEI: United Airlines has chosen ICL MSL as its retained PR agency in Taiwan with a focus on brand awareness for the airline’s Taipei-to-San Francisco direct flight launching on March 31. Naomi Kao, account manager at ICL MSL, told Campaign Asia-Pacific that the Taiwan-to-San Francisco direct route takes only 11 hours and 20 minutes, saving five hours compared with a typical two-leg journey. United suspended flights from Taipei to San Francisco via Tokyo in October 2012. Since then, the carrier has had a code-share arrangement with ANA for the route. ICL MSL is responsible for driving awareness of the route’s benefits, raising brand awareness, running media relations, and monitoring competitor performance. In addition, the agency will organize a media tour to San Francisco and a gala dinner at the Regent Taipei Hotel on March 31. United’s major competitors in Taiwan are the two national carriers, China Airlines and Eva Air, both of which have direct flights to San Francisco, according to Kao. However, these flights depart in the late evening. 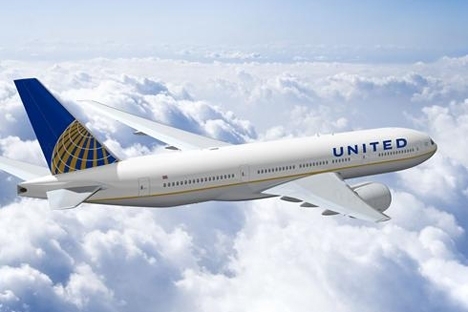 The United flight will leave in the morning and arrive in the US at 7 am, making it a better option for corporate passengers hoping to do business in San Francisco as well as those who need to transfer to other cities. The flight will target both corporate clients and tour groups travelling to the US for the first time. "For most Taiwanese, they are more familiar with New York on the East Coast, while Los Angeles is their priority on the West Coast because of Disneyland, followed by San Francisco," Kao said. The client had not retained a PR agency previously but it has worked with different firms on a project basis, including local PR shop Clavis under the Elite Group. The retained contract is for one year. ICL MSL worked with United on a media luncheon last November on a project basis and got the account due to good performance. In the travel sector, ICL MSL works with the Hong Kong Tourism Board and previously worked with Hong Kong Disneyland and KLM.